Jonathan Trott and Ian Bell lifted their side by dispatching tons in the fourth Test as England clinched the historic series against India by a margin of 2-1. England managed 330 runs in their first innings followed by a 4-352 in the second with the brilliant centuries from Trott and Bell. India declared their first innings after scoring 326 runs losing 9 wickets in 143 overs. 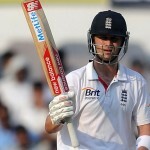 James Anderson (England) was declared ‘Player of the match’ for his excellent bowling of 4-81 in the only innings of India. 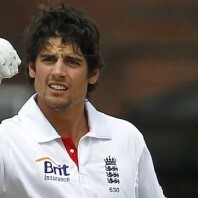 Alastair Cook (England) was declared ‘Player of the series’ for his herculean batting and sharp leadership in all four Tests. He thrashed 562 runs at a superb average of 80.28, the best of 190 with three centuries. The fourth and final Test of the series concluded on Monday, December 17, 2012, at Vidarbha Cricket Association Stadium, Jamtha, Nagpur. Earlier, England went into bat on the final day of the Test at 3-161 in 79 overs. Jonathan Trott and Ian Bell were unbeaten for 66 and 24 runs respectively. Bell hit the first four of the day in the 83rd over and Trott sent the ball out of the fence in the next over. 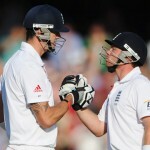 The wicket looked comfortable for batting and the pair kept on cruising without any real problems from the bowlers. The second hundred of the innings appeared on board in the 94th over as two batsmen kept the score board running with regular boundaries. Jonathan Trott hammered his 8th Test tons with a couple of fours in the 105th over when Bell had passed his fifty runs mark as well. The latter kept on rushing towards three figures and added another two fours in the 117th over and got a life when he was dropped at 75 by Virender Sehwag off Piyush Chawla on the second ball of the 129th over. The second hundred of the partnership was attained in the 132nd over with a six from Bell as the score reached 294 runs. The fourth wicket partnership came to an end when Jonathan Trott was caught at leg slip by Virat Kohli off Ravichandran Ashwin for 143 off 310 deliveries with 18 fours. Joe Root got together with Bell and the first hit a six in the 137th over as England went back in the dressing room for tea two overs later for 310 runs. The pace of scoring slowed down after the break as Bell touched his nineties and Root kept on scoring from his end. Ian Bell blasted his 17th Test century on the fifth ball of the 151st over by stealing three runs. He punished Ashwin for 3 fours two overs later as the match concluded after the last ball of the 154th ball was bowled. Ravichandran Ashwin was the top wicket taker with two whereas Pragyan Ojha and Ravindra Jadeja shared one wicket each. 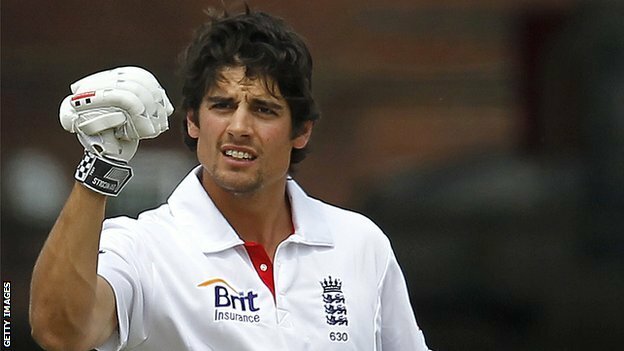 The fourth and final Test ended in a draw as England won the series against the hosts India with a difference of 2-1 under the leadership of Alastair Cook who led them from the front with his individual performance. 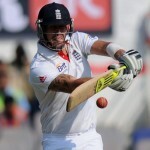 England repeated the historic win of the series after losing the first Test, following a lapse of 28 years. They were defeated in the first Test by India in the 1984-85 home series but went on to win two games later on.